Surprise! Ahead of next week’s Apple event, there are new iPads, as new models flank the 9.7 iPad for everyone. Apple’s iPad range is a little different this week, as the company has decided to refresh its lineup and change things. It wasn’t what we were expecting, mind you, because while we had anticipated product announcements, we expected them at the same time as Apple’s Showtime event next week. The early iPad news is good news for folks who might be considering an iPad for themselves or their kids, because that appears to be the focus with this launch. Apple already has its iPad 9.7 for everyone, the standard model that fetches a $469 starting price with the A10 Fusion chip inside, but this week, some of the models around it are seeing a change. First there’s the change Apple desperately needed, with an update to the iPad Mini. Rather than retire the range, it now features a faster chip than its 9.7 inch sibling thanks to the A12 Bionic used in the iPhone XR, as well as Apple Pencil support, basically making it a 7.9 inch and slightly faster version of the iPad 9.7. Apple has also included support for True Tone, its white balancing screen technology that shifts the colour of the screen based on the white balance of the room, and there are two cameras as well, supporting an 8 megapixel camera on the back and a 7 megapixel selfie camera from the FaceTime HD camera up front. There’s also 802.11a/b/g/n/abc and Bluetooth 5.0 in all iPad Mini variants, plus a 4G option if you want to take an iPad Mini to go. 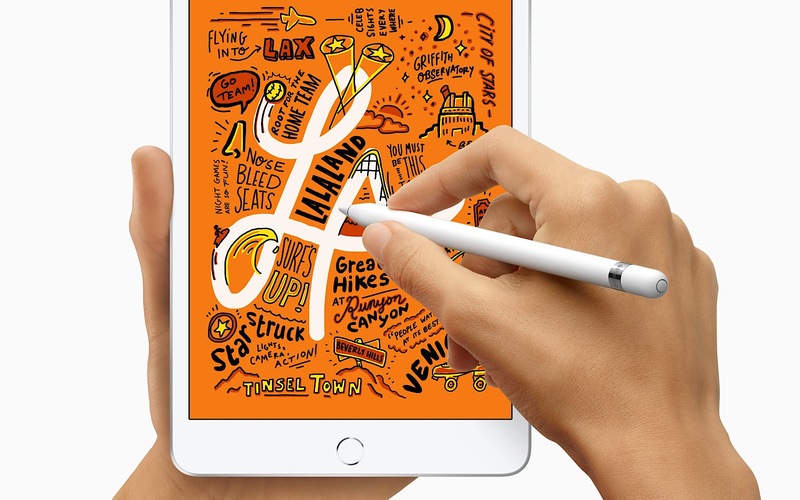 We probably don’t need to tell you that this is exactly what the iPad Mini needed an upgrade in, and perhaps most exciting is the support for the Apple Pencil, which means the new 2019 iPad Mini can actually be used as a notes and drawing implement, and should become a solid option for kids. Apple is one of the last makers of the small tablet, and while most manufacturers have given up on 7 to 8 inch tablets, Apple has kept the iPad Mini around, even though it needed updating. With this refresh, the 2019 iPad Mini seems particularly suited for kids in school, given it brings the specifications up for apps, while adding support for its Pencil. The new iPad Mini isn’t the only change to the iPad range, with a new iPad Air also coming. 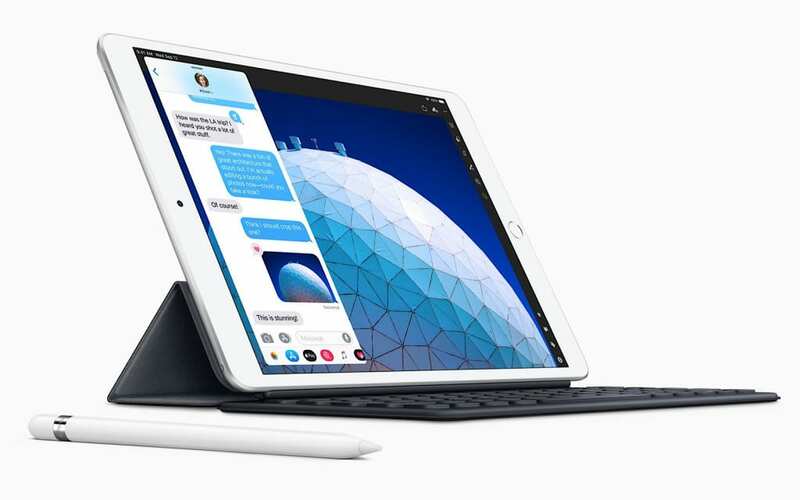 Less a new model and more a replacement for the iPad Pro 10.5 that has stuck around since the arrival of last year’s redesigned iPad Pro 11 and iPad Pro 12.9, the iPad Air is basically that iPad Pro 10.5 with that new six-core A12 Bionic chip seen in the 2018 iPhones, with support for the older style of Smart Keyboard and the same Apple Pencil used on the iPad Mini and iPad 9.7. “The iPad continues to provide magical new experiences for a growing range of uses where it is the absolute best device, from playing games in augmented reality to note-taking and drawing with Apple Pencil, from streaming HD movies and editing 4K films to learning to develop apps with Swift Playgrounds,” said Phil Schiller, Senior Vice President of Worldwide Marketing at Apple. 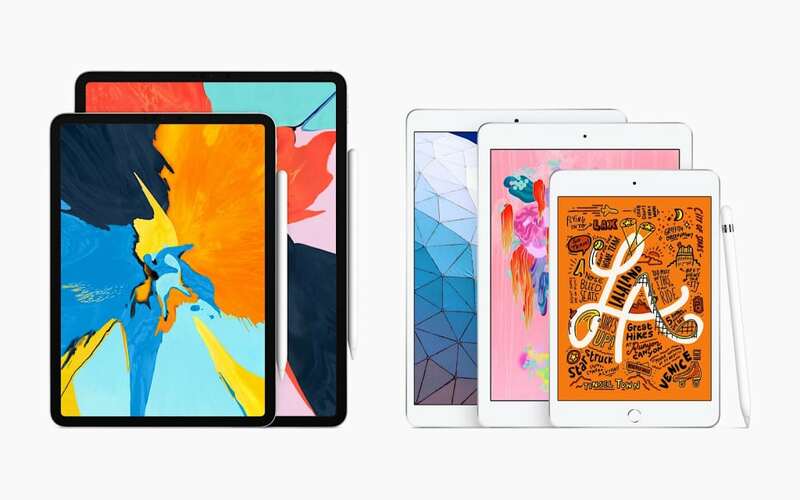 “Today the iPad family takes two big leaps forward with an all-new 10.5-inch iPad Air that brings high-end size, features and performance at a breakthrough price, and a major upgrade to the 7.9-inch iPad mini, which also brings Apple Pencil, Retina display and the A12 Bionic chip to the many customers that love its compact size,” he said. While Apple hasn’t confirmed it with Pickr, our guess is that the shift from the iPad Pro 10.5 to the iPad Air has possibly come as a way of noting the difference between what the current iPad Pro range is versus the older version. The upside of this, however, is that an up-to-date iPad with support for a physical keyboard and Apple Pencil is now also less expensive, and you don’t necessarily have to spend the minimum $1229 starting price of the iPad Pro 11 to get into an iPad Pro-styled device, as the iPad Air starts from $779. Accessories like the iPad Smart Keyboard and Apple Pencil will cost extra, but you’ll find the new iPad Mini and iPad Air in stores this week, with the iPad Mini starting from $599 for a 64GB WiFi model and from $799 for the 64GB WiFi/4G model, while the iPad Air starts at $779 for the 64GB WiFi model and from $979 for the 64GB WiFi/4G model.